Manfrotto is best known for its tripods, but recently it has taken to producing bags in all shapes and sizes. Its latest design aims to solve a common conundrum: how do you carry a tripod as well as your camera kit and other bits and bobs? The Advanced Befree Messenger has a unique answer, in the shape of a foldaway compartment that unzips from the front of the bag. It can accommodate tripods with a folded length of up to 12in, held in place by draw-cord enclosures at each end. On the back is a separate laptop compartment for screen sizes up to 15in, while on the inside is a similar-sized pocket for A4 documents or magazines. 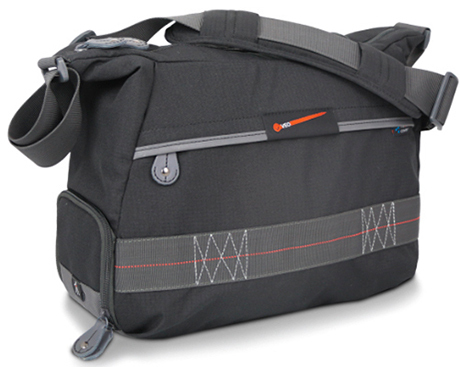 Numerous other pockets are dotted around the bag, including a large organiser compartment at the front. Padded dividers partition the inside of the bag, but can only be attached to one side, as mesh pockets cover the other side. The dividers can be arranged to hold a DSLR with a couple of lenses, and perhaps a flash, in a space that’s 9in tall but only about 6in wide. Another padded circular divider can hold an additional lens or a water bottle, and a zipped opening in the lid gives easy access. Oddly placed clips on either side of the bag secure the lid closed. This can be attached over the handle of a wheeled suitcase and is secured in place by Velcro. This has a sliding buckle to set the length, and a grippy shoulder pad. The Advanced Befree Messenger is cleverly designed and capacious, although the space designed for holding a camera is limited. With no padding between your back and the laptop, it can also be uncomfortable to carry when fully loaded. The quality of finish isn’t quite what I’d expect for the price, either. However, the tripod holder is neat, and there’s plenty of space for your personal items. 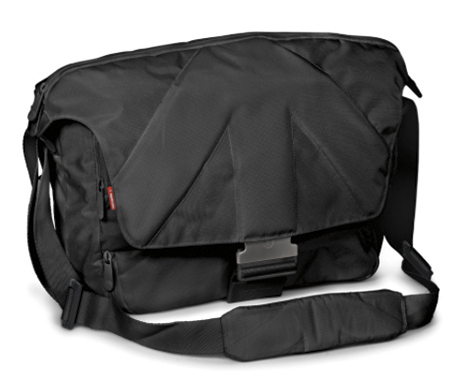 This neat shoulder bag includes a compartment in the base to hold a travel tripod, with space for camera kit above. Like the Vanguard Veo 37, this has an internal compartment for a tripod. It can also take a 15in laptop. 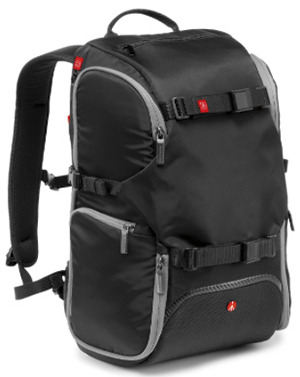 This backpack will take camera kit and a 13in laptop. It also has an external zip-out tripod pocket.